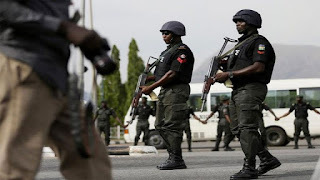 The officers were amongst four mobile policemen who were declared missing after a police patrol team drove into an ambush by suspected herdsmen in Logo Local Government Area on Saturday afternoon. But the remaining two officers are still missing, Benue police commissioner, Fatai Owoseni, said. “Two officers rejoined their colleagues. Unhurt. Hoping to see the remaining two,” the commissioner said. The returned officers appeared at the police station in Ayilamo, near Azege town where the attack occurred, late last night. Rescue efforts coordinated by the police had been underway since Saturday evening. 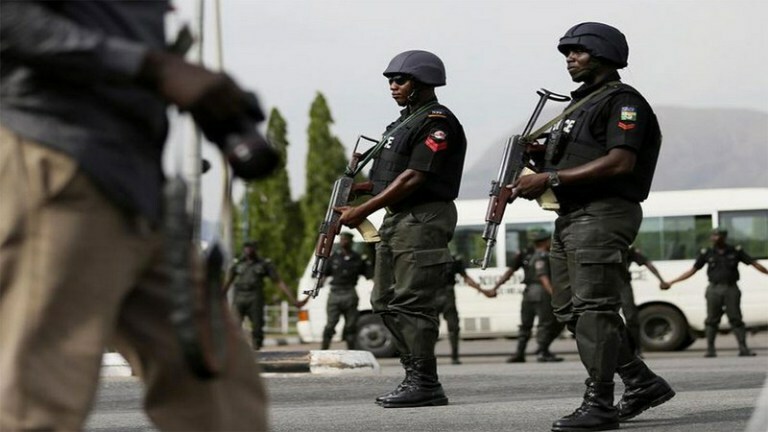 The commissioner of police in charge of mobile police officers arrived the state Sunday morning to lead the search and rescue efforts, which were still ongoing as at 11:40 a.m., PREMIUM TIMES learnt from local chiefs. Another officer who sustained gunshot wounds is undergoing treatments at the hospital in Ayilamo, residents and police sources said. The men were returning from a confidence-building mission in remote villages when suspected herdsmen opened fire on them in Tse Akpam village, near Azege town. Enoch Nyikyaa, a chief in Logo LGA, told PREMIUM TIMES he had been to the police station in Ayilamo and saw an officer receiving drips on Sunday morning. “The officer was not shot at all, I think he was tired from running into the bushes he didn’t know well,” Mr. Nyikyaa said. Saturday’s attack is the first ambush against a police team in Logo LGA since January 8 incident that left three officers dead. The officers were on patrol in the wake of the January 1 attacks on villages in Logo and Guma local councils that left over a hundred people dead. Seventy-three were given mass burial near Makurdi, the state capital, on January 12. The killings continued despite police’s announcement that over 1,000 special forces personnel had been deployed in Benue Nasarawa and Taraba, the three states that have suffered heavy losses linked to herdsmen. The police have identified confidence-building in villagers as a key part of their strategy to curb violent attacks.